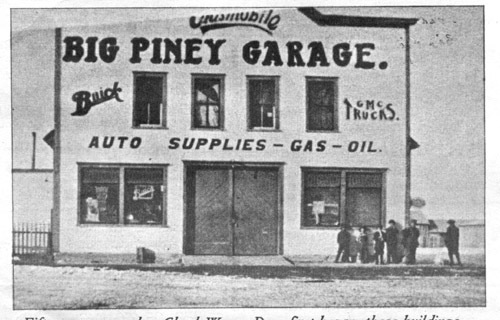 History of Big Piney - 101 Front St. 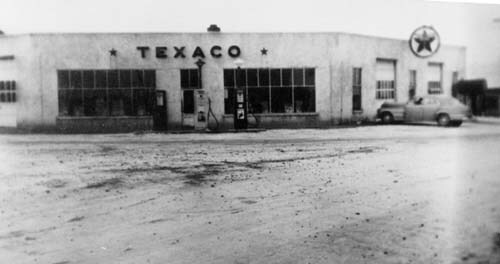 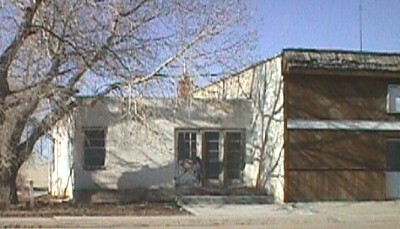 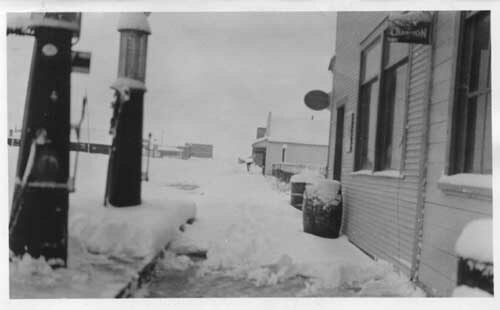 This photo shows the Bucket of Blood in the center background with the Big Piney Garage on the left. 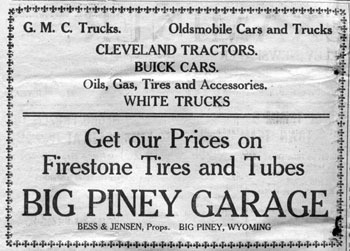 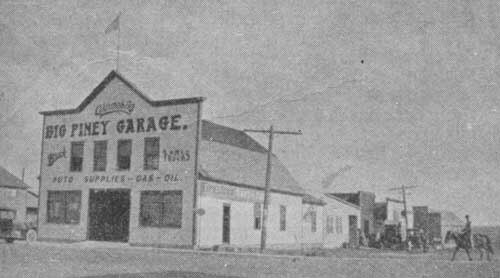 The caption reads, "The first cars brought to Big Piney on sleds byGeorge Whitman, 1911, in front of garage at Big Piney, Wyoming." 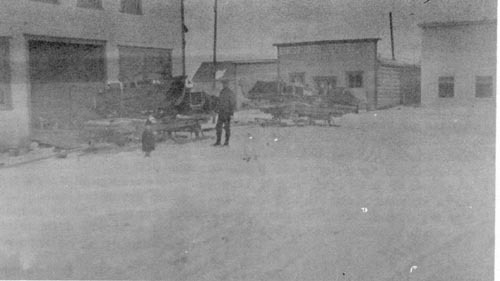 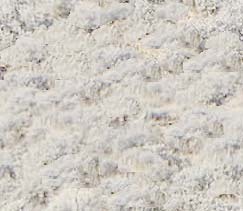 George Whitman was better known as Gull.